In my neck of the woods things are getting a little chilly. How about yours? I think it’s mitten time. If you are lacking when it comes to a COZY, hand hugging, warm, FUNCTIONAL pair of mittens, it is time to get a pair. Keep your hands warm with style this winter! If you sew, these mittens are very easy to make, and at this time of year just think of all those you could make a pair for CHRISTMAS! Get out your wool sweater stash, or find a sweater that you just don’t wear anymore and upcycle it into something fabulous, like MITTENS. Fleece also works very well. Sizes for the LITTLE hands. The FINGERLESS mittens allow your fingers to be exposed so you can keep your hands warm and still do more functional things. These make a great driving glove. Mix & match different colors and textures of your sweaters to make a pair of fun whimsy mittens. Check out the VIDEO CLASS I have available on Skillshare that walks you through the whole process, step by step. The downloadable pattern comes free with the class. This is a pair of mittens made by an Etsy customer – Grace. Easy to understand instructions with a superior pattern (I know, I’ve tried other mitten patterns). thanks! Having sizes child’s to men’s was a plus. The directions are clear and the fit is great. Thanks! Love this mitten pattern. Am making Christmas gifts in several sizes, and my girls keep wanting each pair I make! Great pattern, easy to follow instructions and fun to make. This pattern makes beautiful mittens that fit well! Great pattern, clearly written and easy to follow. My hands are looking forward to a pair of cozy wool mittens! Started making them last night, and I can’t wait for winter? Well, ok, I can. Thanks for a great pattern and instant download is a plus! Here are a few other posts related to making things with sweaters that you may be interested in. Let me know if you have tried one of these patterns and maybe even send a photo of your mittens. I would love to see. There is no limit to what you CAN create! 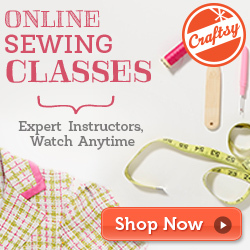 Have fun sewing and keep warm! I love your slipper boot pattern… I’ve made 12 pair! I’m excited to try out the mittens too! AWESOME! Thanks for taking time to post! Your coupon code has been sent to your email.